This is how my dining table looks like right now. It’s a huge mess. It gets messy when I make cards. I tidy up once in a while, but just after a little while it’s like this again. I can’t seem to put things back together right after I’ve used it. I need a clean-up soon. Maybe tomorrow? My salery came today. Guess where I ended up after I left work? At a scrapbook- store (Steffens AS). It was so not planned. I was downtown doing some errands and also looking for todays door. I ended up in the same street as the scrapbook-store and I thought ‘what the heck? !’ So I went inside. My main goal was to look for something on sale I could buy for a christmas present. As if anything is on sale now, right in front of Christmas… I didn’t find anything on sale, but I couldn’t leave without buying something. Ahem. I found some beautiful paper I just had to get. Those gingerbread papers I bought because I had an idea on a special card. The rest was just so beautiful and I knew I could make some great cards out of them. I think I have enough christmas paper, but I got tired of what I already have. And to be honest, I didn’t have that much red paper. 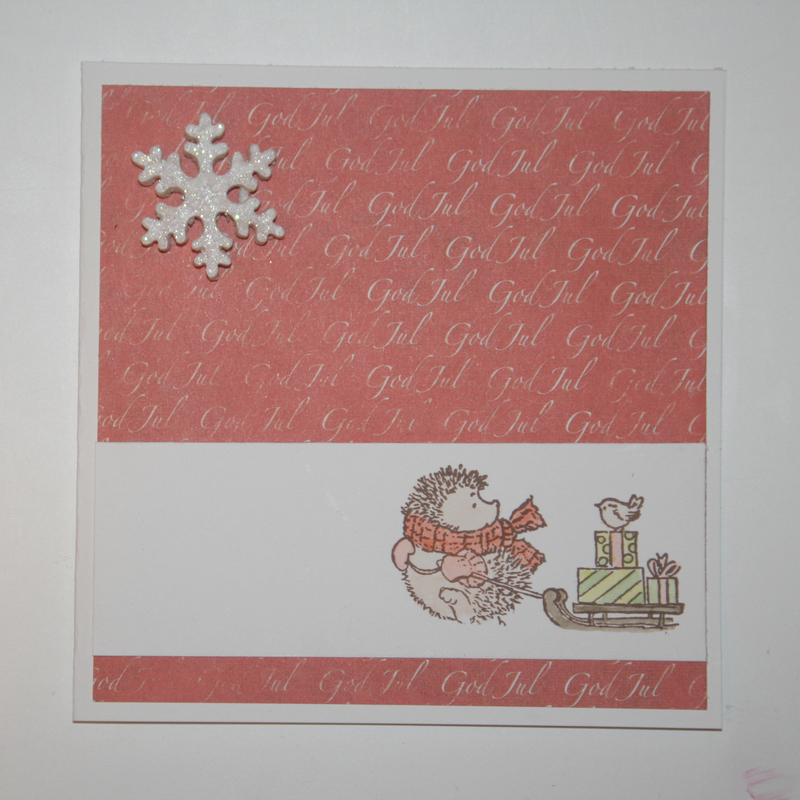 And I wanted to make some christmas cards with a red theme. So this evening I’ve made two christmas cards. In the last card, there is a recipi on gingerbread. What I should’ve done today was to make that birthday card to Ellen and the fathersday card for dad. Ellen’s birthday isn’t until sunday, but I’m seeing her on friday. It needs to be ready by then and I’m busy on thursday. Dad’s card has to be ready on thursday, because I’m seeing him then. That means I have two cards to make tomorrow.